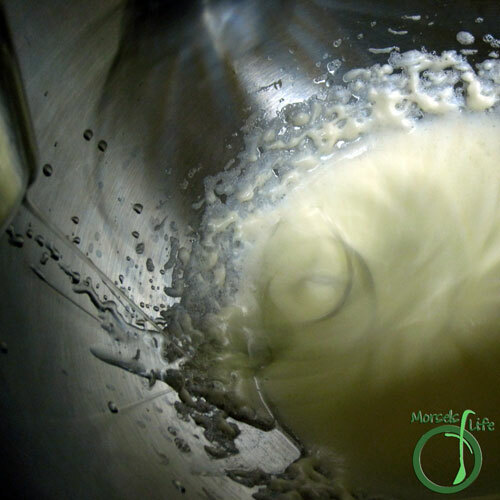 Make your own preservative-free and tasty mayo! As I've gotten into making more of my own condiments and dressings, mayonnaise has always been one I've been afraid to tackle. I'd heard about myriad ways it would go wrong, and honestly, it's not really a condiment we use a whole lot. Well, I decided it's time to conquer my fears of making homemade mayo (or maybe reinforce them)! Either way, I was determined to at least give it a try. Reporting back, I have to say, it's actually not difficult, just time consuming. However, you earn much more freedom and control over the flavor. 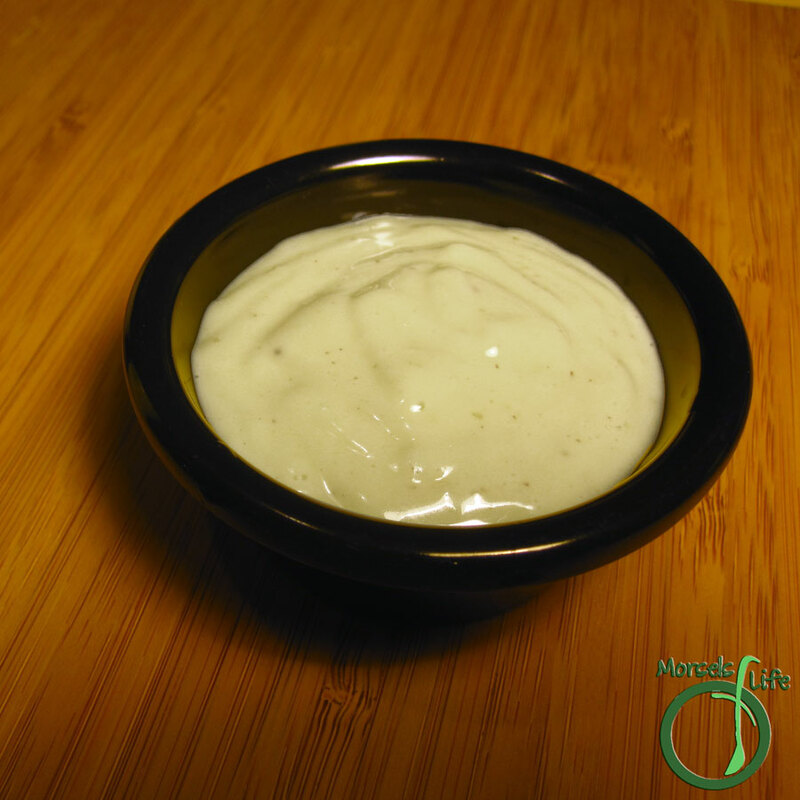 And even if I say so myself, this homemade mayo is far tastier than any store bought kind I've ever had. It took me about 30 minutes to make, but I was also very paranoid and went really slowly. Since it does take a while, I likely won't be making it too frequently, but it's one of those things that might be worth making a big batch at once. I'm already thinking of all the mayo varieties I can make now - chipotle coming in near the top! Not to mention - creamy dressings - Ranch, Thousand Island, etc. You could also use it straight in dishes like potato salad. The possibilities are endless! Note: Care should be used when using raw egg as there is a small risk of salmonella. 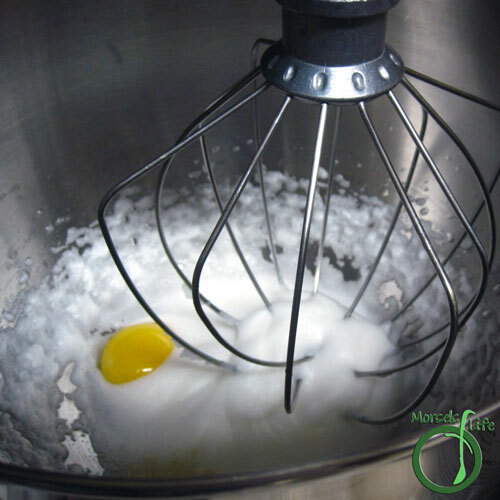 To avoid the risk of salmonella infection, you can use pasteurized eggs instead. I used a raw egg with no issues. What are some of your favorite surprisingly easy to make condiments? 1. Beat eggs until thick and sticky. 2. Add in all materials except oil, and beat until homogeneous and foamy. 3. Slowly beat in oil. 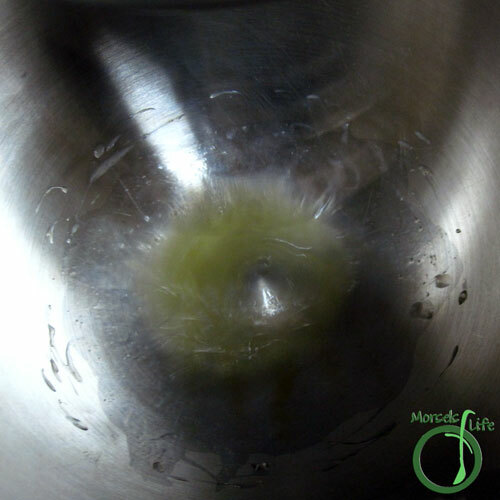 Start dropwise, and then as the oil is emulsified, you can add the oil at a faster rate. Glad to hear that mayo is pretty easy to make! I have been wanting to try my hand at it but was also afraid. It's on my top 100 things to make so this is even more motivation. Not sure about the reliablity of the source but looks like if you added another 1/3 of a tablespoon, you'd reduce the risk of salmonella. An extra dash of lemon juice to home-made mayonnaise could help prevent salmonella poisoning, according to a team of food researchers, at Leeds Metropolitan University. 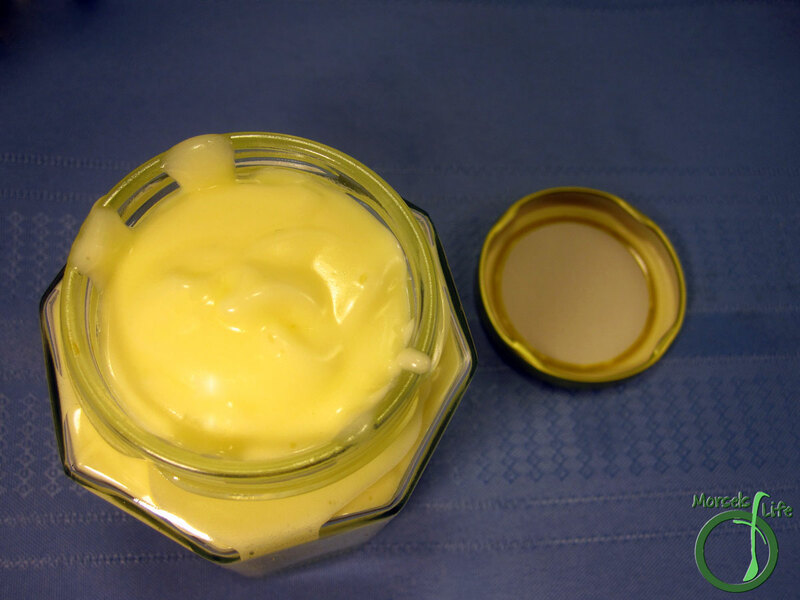 They studied the effect on salmonella when using citric acid such as lemon juice in making mayonnaise and looked at the ratio of egg yolk to citric acid and whether this had any impact on the safety of the finished product. "Our main finding was that the amount of salmonella increases as the ratio of egg yolk to citric acid decreases. The less egg you use, the lower survival time for salmonella," said Alan Edmonson of the food research group. "People should use 20ml of lemon juice per egg yolk to avoid poisoning." In 1997, Salmonella caused 44 deaths and about 50,000 cases of food poisoning in the UK. It's something I would recommend doing at least once, even if you decide it's not for you, at least you tried it! And it's pretty easy too, just a bit time comsuming. Let me know how it goes if you give it a try! Thanks for the info! Increasing the amount of acid (whether that be lemon, vinegar, or something else) will decrease the survival rate of salmonella, but I wasn't able to find a consistent amount needed. Thanks! It took a while to gather up my courage, but I finally made mayo and found it wasn't as hard as I had expected!